Have you heard about the Internet of Things? If not or you are wondering exactly what it is and what opportunity it might hold for your city, industry or business, you are not alone. A survey of 700 C-suite executives in Canada, conducted this fall by Northstar for Microsoft reported that the majority of top execs in Canada are not even aware of The Internet of Things (IoT). Most (53%) executives said they are completely unaware of the Internet of Things and even more (72%) find it to be a confusing concept. Somewhat ironically the study found that about half of top executives believe technology helps their business stay competitive and almost half say it improves their customer service. However, a very large number (85%) say they aren’t fully utilizing technology. This represents a fantastic opportunity for Canadian businesses. The world-wide numbers are more than significant. 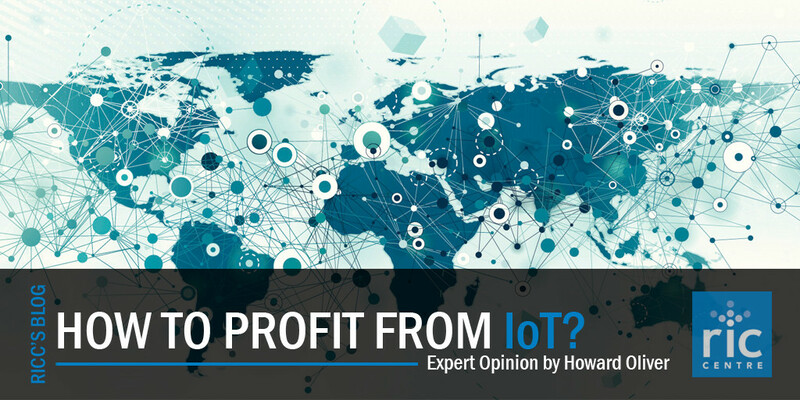 According to a current IDC report the IoT market will grow to $1.7 trillion in 2020, with a19% growth in 2015. This forecast focuses on 11 vertical industries, including consumer, retail, healthcare, government, manufacturing, transportation, and other industries. IoT opportunities detailed 25 vertical-specific use cases including smart-appliances, automated public transit, remote health monitoring, digital signage, smart buildings, connected vehicles, and air traffic monitoring, among others. Several billion connected devices are already in use, with many more expected. These devices — smart meters and appliances, radio-frequency identification tags, connected cars, wearables and more — are producing massive amounts of data about the environment around them. Organizations are able to respond to changing market conditions with agility and flexibility using the cloud. New products and solutions can be deployed quickly and cost effectively to open cloud platforms that connect to people and devices wherever they are and engage the business and its customers in new innovative ways. Mobile and social networks are enabling people to work in a smarter ways – enhancing city operation in smart cities, business processes in offices and workflows in farms and factories. There are some real concerns about the advance of all this connectivity and intelligence. Networks must expand hugely to accommodate the generation of massive amounts of data, creation of common interoperability standards, management of huge security and privacy concerns- anything can be hacked, and common development standards must be adopted by competing companies. All this must be worked out but we feel it will, as the size of this third industrial revolution or Web3.0 is too large and central to our evolving world not to evolve magnificently to the betterment of us all. Today 61% of US companies in the US are actively investing in IoT initiatives. This HBR article captures some of the new opportunities for value creation: remote product refreshes, innovative services created from new ways to reduce costs and boost efficiencies from data captured and analyzed from sensors, personalized customer experiences, new intelligent control of homes, offices, factories. And that is just the start. To conclude, the IoT market is wide open for new entrants. It is really in its infancy and the big players have not yet determined how they are going to address the opportunities and hence can be easily be disrupted by new approaches. If you are an entrepreneur with a startup idea, a leader in an industry sector seeking new ideas or a manufacture or service provider looking at new opportunities, you might be interested in RIC Centre’s Tech Forecast for 2016: A Connected World. Interact with IoT enthusiasts and experts on December 3rd at our Growing Your Business seminar. Learn more here. About the author: Howard Oliver is the founder and CEO of What If What Next and an IoT Volunteer Advisor at the RIC Centre. The firm focuses on the Internet of Things (IoT) the next frontier for business (Fortune Magazine, September 30, 2015). Under Howard’s leadership his team and circle of alliance relationships around the world offers analysis, project development, marketing and PR services for this dramatically growing sector. Howard has been an technology visionary, entrepreneur, writer, content builder, thought leader, PR maven, and business development executive. He provides leadership in the application of Agile and Lean project management methodologies. Clients recognize him as a results driven, highly creative and disciplined thinker. Howard holds an MBA from Wilfrid Laurier University, and a Bachelor of Commerce degree from McGill University. He is a spiritual seeker, avid sailor, and collector of books.